When I heard the horrible news about the movie theater shooting in Aurora, Colorado, I was sickened. Like most other people, I felt sad and violated. I grieved (and still grieve) for the many people who died and were wounded so meaninglessly. And then began the blame game. The main target for the blame game is the guns. Why was this disturbed young man able to get all of these guns? Shouldn't we have stricter laws? Does this event, along with other shooting sprees, tell us that we need to move in the direction of gun control? The guns are not to blame. And this movement to blame the guns is misdirected. I say this as a person who doesn't like guns and never plans to own a gun. I am by no stretch of the imagination a gun enthusiast (although I do support the right to bear arms). Still, I believe it is misdirected blame, but maybe not for the reason you think. Blaming the guns is misdirected in the same way that blaming our government after 9/11 was misdirected. It is misdirected in the same way that blaming authorities for not moving more quickly in the wake of Hurricane Katrina was misdirected. It is misdirected in the same way that blaming building contractors after earthquakes and tsunamis is misdirected. None of this is to say that these people never deserve any blame. Sometimes they do. The reason it is misdirected is because it reveals that we believe a lie. We believe that we can prevent tragedies if we just have more information, more vigilance, and more control. If the government hadn't been asleep at the wheel, we could have prevented those terrorist attacks. If school administrators had been more strict about bullies, this suicide could have been prevented. If we had more gun control, we could have prevented this tragedy. We are kidding ourselves. We are trying to feel better by telling ourselves that we have control over our lives. It is a lie. We don't. 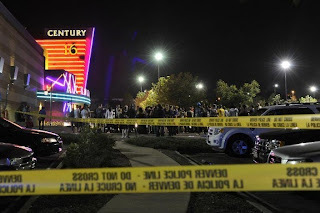 None of the people who walked into that Aurora movie theater had any reason to think that they were walking into danger. But they were. Why? Because we live on a cursed and broken planet with cursed and broken people. Nowhere is safe. No one is safe. Someone could break into my house while I am writing this post. I wish that there was a fool-proof way to prevent further shootings, but we simply don't have enough power and control to do that. Extra gun laws and extra security and bullet-proof vests won't ultimately protect us from the evil in this world. We are all vulnerable. Sorry that this seems so depressing. I don't intend it to be depressing. I just intend it to be accurate. If you follow Jesus, you have hope. Real hope. And you hope is not that you will one day figure out a way to gain such control over the world around you that you will be able to eliminate danger. That is a fool's hope (as Gandalf might say). Instead our hope is that Jesus Christ, the eternal Son of God, will one day return to redeem and renew this world. He will eliminate death and grief and pain and evil. Him and only him. We can't, but he can. The blame game is misdirected not because there isn't ever appropriate blame on parents and teachers and government officials. It is misdirected because it reflects that we have believed a lie. And all lies are from the enemy. He wants us to believe that we have save ourselves, but the gospel continually tells us that we must be saved by someone else. Don't respond to tragedy by trying to grab control. This is an illusion and it will only leave you more confused and disheartened when the next tragedy takes place. Instead, respond to tragedy by placing your hope in the one person who knows what to do with it. The one person who can bring a final end to terrorist attacks and movie theater shootings. The one person who can, and will, bring ultimate peace on earth. I recently re-read Nathaniel Hawthorne's The Scarlet Letter. It was the first time I had read it since high school (and I am not even certain that I really read it in high school. 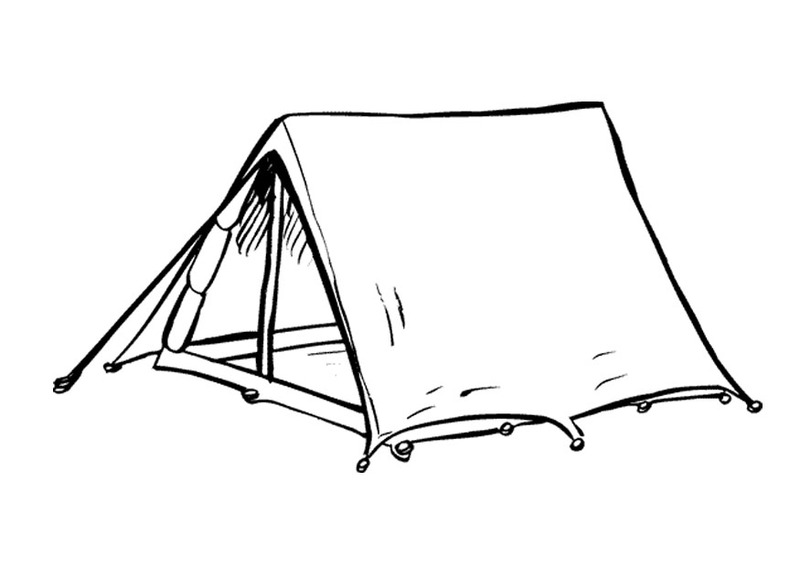 This post is by no means meant to be a thorough examination of the book or even a review of it. I simply want to cherry-pick a powerful theme near the center of Hawthorn's story. The whole idea of The Scarlet Letter has become part of our American vernacular. Hester Prynne is forced to wear an embroidered 'A' on her clothing as a result of her adultery. Her partner in crime, the reverent Dimmesdale, remains hidden because both he and Hester refuse to identify him as the father of the child born to Hester while her husband is away (and presumed to be dead). Near the center of the book is the examination of how the two adulterers deal with the aftermath of their actions. Hester is publicly shamed and exposed, which is painful, but she is able to bear up under her suffering. Eventually she even gains the respect of many of the townspeople who at first scorned her. Meanwhile, Dimmesdale is publicly celebrated as a wonderful and sacrificial minister, while he is tormented by his internal guilt and shame. As the story plays out, Hawthorne seems to be saying that hidden shame is more destructive than public shame. During the story, Roger Chillingworth, Hester's husband, who keeps his identity hidden, finds out the truth about Dimmesdale. When he finds out the information, he chooses to exact revenge by tormenting the minister in the worst way that he can imagine. To our surprise, he does not publicly expose him. Instead, he works to keep him in the prison of his own secret guilt and shame. The plan works powerfully, as Dimmesdale finds himself physically and mentally suffering from the oppression of his secret. As the book draws to its conclusion, Hester and Dimmesdale hatch a plan to run away and start a new life. Everything seems to be coming together and it appears that they will secure their happiness by escaping from the presence of those who magnify their guilt. But Chillingworth finds out about it and plans to join them on their secret journey. Dimmesdale despairs when he realizes that, no matter where he turns, he will be tormented by his accuser. And that is what Chillingworth is: An accuser. He stands by, consistently reminding the reverend of his secret sin and hypocrisy. Dimmesdale can find no way to gain freedom from the satanic condemnation of this vengeful man. Chillingworth comes to embody Satan, the accuser of humanity. And it is interesting to see the accuser bring private condemnation, while, at the same time, seeking to keep his victim from being publicly exposed. "Hadst thou sought the whole earth over, there was no one place so secret--so high nor lowly place, where thou couldst escape me--save on this very scaffold." Old Roger Chillingworth knelt down beside him, with a blank, dull countenance, out of which the life seemed to have departed. "Thou hast escaped me!" he repeated more than once. "Thou hast escaped me!" 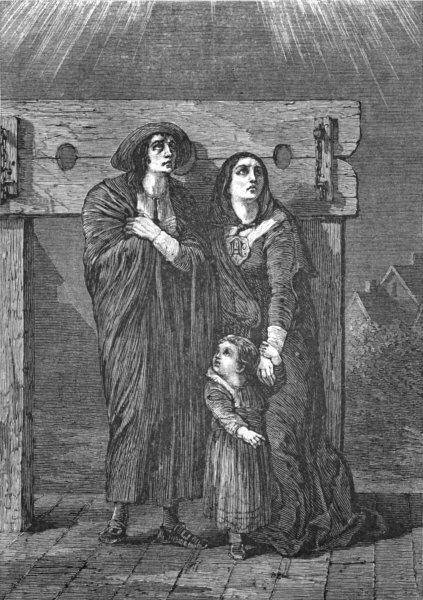 Dimmesdale could only escape his accuser by confessing his sin and, thus, breaking the power of his accuser. Hawthorne goes on to tell us that Chillingworth was so sapped of power that he died within the year. Throughout the book it is haunting to watch both the mercenary nature and the cunning strategy of Chillingworth, the accuser. In Ephesians 6 and 2 Corinthians 10, the Apostle Paul speaks about our enemy, the devil, having schemes. He has strategies. He is both cunning and mercenary in his quest to kill and steal and destroy (John 10:9-10). And, which would the accuser rather have? For our embarrassing sins to be publicly exposed, or for us to successfully keep them secret and have only to deal with inner shame? Both the Bible and our personal experience would lead us to believe that he wants the latter. He wants to keep us imprisoned by our secret sins. Then he can condemn us privately, while bringing extra condemnation for our hypocrisy while we seem to get off the hook, without public consequences. But Satan's power is broken when we confess not only to God, but to one another. As long as it is private, his power to condemn is magnified. When our sin is exposed, his ability to bring shame and fear have all but been exhausted. This must be the reason why Scripture not only calls us to confess our sins to God (1 John 1:9-10), but also to one another (James 5:16). We are afraid to do this. It seems like things will get worse if we talk to a brother or sister in Christ about our shameful struggles and failures. Instead, the enemy of our souls, the accuser, will only be left to repeat the defeated words of Chillingworth, "Thou hast escaped me! Thou hast escaped me!" Almost immediately before he lost his mind, M. Night Shyamalan made a movie called The Village. The story revolved around a cloistered community of people who had experienced such pain as a result of human evil that they had looked to remove themselves from society. The movie was not great, but the theme and the message were great. Without going into specifics, it became evident that the experiment of seeing if they could remove themselves from evil failed. The reason it failed was that they realized that the evil was not somewhere "out there" in the world. The evil was "in here," inside each one of us. In fact, the greatest evil in the movie was manifested through the person who appeared to be the most innocent. When God flooded the whole world in Genesis, it was not an experiment. God doesn't do experiments because he knows everything. But when we read it, we experience it as if it was an experiment. God sees the intense evil in the world and he chooses to wipe out humanity and preserve only a small, God-fearing family. As we read we might think, "Okay, this is how God is going to remove evil from the world. He will wipe away all the evil people and preserve only the good people." If this is what we think, we are soon disappointed. 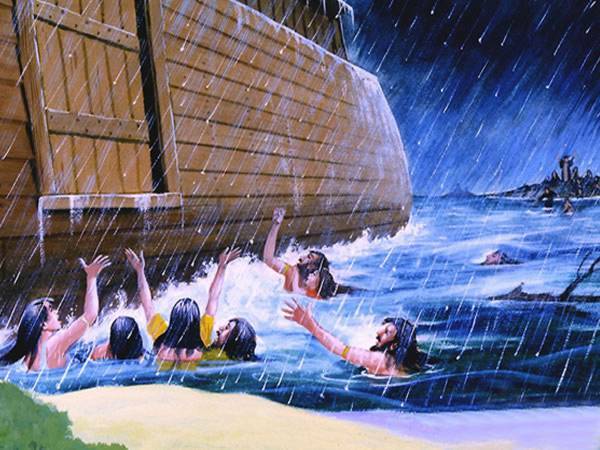 After the flood, Noah and his family ushered in a new start for humanity. In the midst of this, God promised never to use a worldwide flood to wipe out humanity again. But look at what he said when he made this promise in Genesis 8:21: "Never again will I curse the ground because of humans, even though every inclination of the human heart is evil from childhood. And never again will I destroy all living creatures, as I have done." God didn't say, "I will never flood the earth again because I have removed evil by removing all those rotten people. Therefore I will never have a need for another flood." He hadn't removed evil and he knew this. And this reality became unmistakably evident in Genesis 9 when Ham selfishly humiliated and violated his own father. Evil remains. The flood couldn't remove evil because evil is not out there, it is in here. Ten chapters later, we get a strikingly similar story. Lot and his daughters are removed from the evil city of Sodom. God's angels graciously took them away from the corrupt and evil city. Then, as soon as they are clear of Sodom, Lot's two daughters got their father drunk and seduced him so that they could continue the family line. I remember one of my professors saying, "You can take the people out of Sodom, but you can't take Sodom out of the people." F. Scott Fitzgerald is one of my favorite authors. I feel a little guilty saying that, since I have only read three of his novels: This Side of Paradise, The Beautiful and the Damned, and The Great Gatsby (many, many times). Still, I have found myself totally engrossed in all three of these novels, despite the fact that none of them are action-driven stories. Fitzgerald has a way of bringing you into a world and allowing you to submerge yourself in it. My wife loves reading fantasy and sci-fi (as well as classics, and, well, pretty much everything). I don't really like reading sci-fi and fantasy; I jokingly tell her that Fitzgerald is my favorite fantasy author because he brings me into a different world. 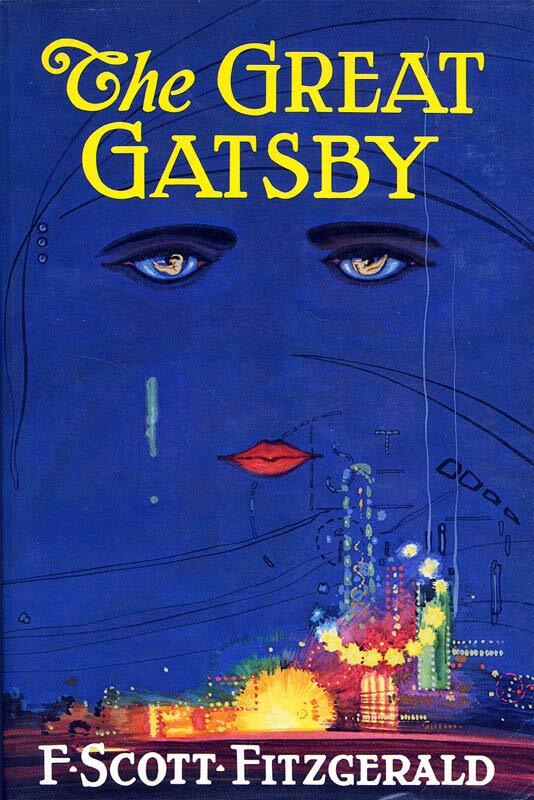 That said, I was thrilled when I found out that a new movie version of The Great Gatsby is due this December. I was even more thrilled when I found out that Leonardo Dicaprio will star as the title character. It's due out this Christmas. Can't wait! I got so excited when I heard this news that I had to read the book again, and I did so this last month. It was, as always, a joy to read. Fitzgerald once again transported me into a world in which amoral characters struggled their way through life, trying to make sense of things. The narrator, Nick Carraway, walks the reader through 1920s New York with all its glamour and confusion. Fitzgerald's choice of Carraway as a narrator is telling because he is probably the least interesting character in the story. We are meant to relate to him. He is everyman. He is unassuming and unexceptional. At one point he tells the reader that he is one of the few honest people he knows. I won't walk through the entire plot (some of you know it; those of you who don't should read it), but events spiral out of control and tragedy strikes the characters in the story. In the end, Nick Carraway finds himself troubled and often disgusted by the characters in the story, even those who were his closest friends. Fitzgerald is unflinching as he writes about humanity chasing after the wind, pursuing empty and elusive pleasures. While he is not promoting a Christian worldview, he seems to have a grasp on the lostness and evil of mankind. In this reading, I was struck by the fact that Carraway was disgusted by everyone. . .except himself. This despite the fact that he participated in raucous partying, aided an extramarital affair, assisted in covering up a different affair, and regularly looked the other way when evil and deception ran rampant. He seemed to have no sense of his own culpability in the tragedies that occurred in the book. I don't know if this is how Fitzgerald saw himself, as an innocent onlooker, watching other human beings make a mess of their lives. But I do know that this is often how we see ourselves. We complain about the loss of morals, about the corruption in Washington, about the warlords in Africa, and about the starvation that results from greed. We are troubled about the evil in the world, but we often overlook our role in it. Even as believers in Jesus, this is easy to do. The person who has embraced Jesus must never see himself as Nick Carraway, a good and moral person surrounded by evil and corruption (and often looking the other way or helping it continue). 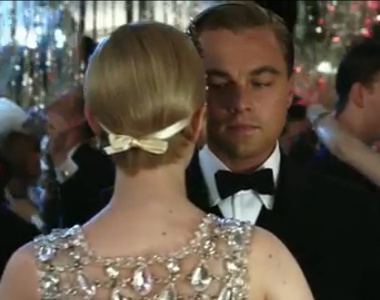 The believer must embrace the fact that he is Gatsby, he is Tom Buchanan, he is Meyer Wolfsheim (these allusions are much more meaningful if you know the book). We are Hitler and Bin Laden and O.J. Simpson. We are broken and lost and evil people who are only rescued from the evil in the world and the evil within by the powerful sacrifice of Jesus Christ and by his certain return. Fitzgerald brilliantly walks us through a journey of humanity's empty pursuit of meaning under the sun. However, he gives us no real solution. The incarnation of Jesus Christ brings the meaning and salvation that we so long for. Hope is Active. . .and Passive? 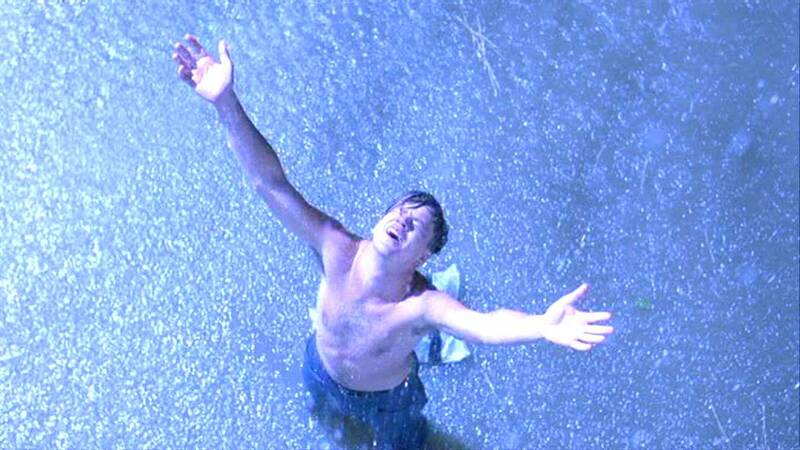 The Shawshank Redemption was a profound movie that dealt with the subject of hope. While wrongfully incarcerated in a prison Andy Dufresnse struggles to find the hope that will carry him through all his hardships. He finds that hope can set you free from even the harshest and most difficult prison (whether literal or metaphorical). In Andy's final message to his best friend, he says, "Hope is a good thing, maybe the best of things." Hope is a good thing. This is because hope is more than just wishful thinking. Hope, especially biblical hope, has more to do with expectation than with imagination. Hope is the confident expectation that better days are ahead. In his first letter, the Apostle Peter talks a lot about hope. One of the reasons for this is that Peter says that believers in Jesus are strangers, pilgrims, temporary residents on this earth. Because of this, we will find ourselves disappointed in how we are treated and in how things turn out. We need hope. We need to expect that better days are ahead. In the first chapter alone, Peter tells us two very important things about hope. The first comes in 1:3: Praise be to the God and Father of our Lord Jesus Christ! In his great mercy he has given us new birth into a living hope through the resurrection of Jesus Christ from the dead. Peter says that we have hope. And why? Because God gave it as a gift. Hope is given by God. Hope is received by us. We passively receive the ability to have hope. As a child, I wanted to play for the Dodgers. I wasn't very good at baseball. Let me be honest: today as a 34 year-old, I have no hope that I will play for the Dodgers. It simply is not reasonable. If I was going to find hope that I would someday play for the Dodgers, something would need to happen to give me a basis for that hope. I would need to receive hope somehow. Peter says that believers who are struggling through life can have hope because God has qualified us for this hope. Jesus' resurrection gives us an objective basis on which to expect that better days are in our future, when Jesus returns. Hope is a gift that is meant to be received. But then Peter says something else in 1:13: Therefore, with minds that are alert and fully sober, set your hope on the grace to be brought to you when Jesus Christ is revealed at his coming. Peter tells us to respond actively to this hope that we have been given. He tells us to set our hope on the return of Jesus, and on the better days, on all the blessings, that his return will bring. We actively set our hope. If you go bankrupt. If you are unemployed. If you are lonely. If you have a chronic illness. If you are at a low point in your life, you cannot let despair win out. But you don't respond to these difficulties by setting your hope in future money, or a future job, or a future spouse, or future health. You set your hope, your expectation for blessing, on the fact that the same Jesus who came to the earth to give his life, will one day return to usher in his kingdom. After all, this world is not your eternal home. You are a temporary resident, awaiting its renewal. You have been given this hope, now set your hope! Thank God for graciously giving you a basis for hope, and then trust him enough to bank on the future he has promised. After all, hope is a good thing, maybe the best of things.